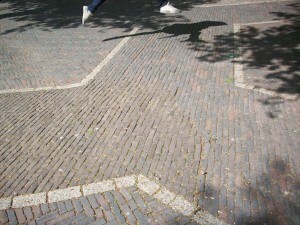 This is not me, jumping for joy – though I could have. 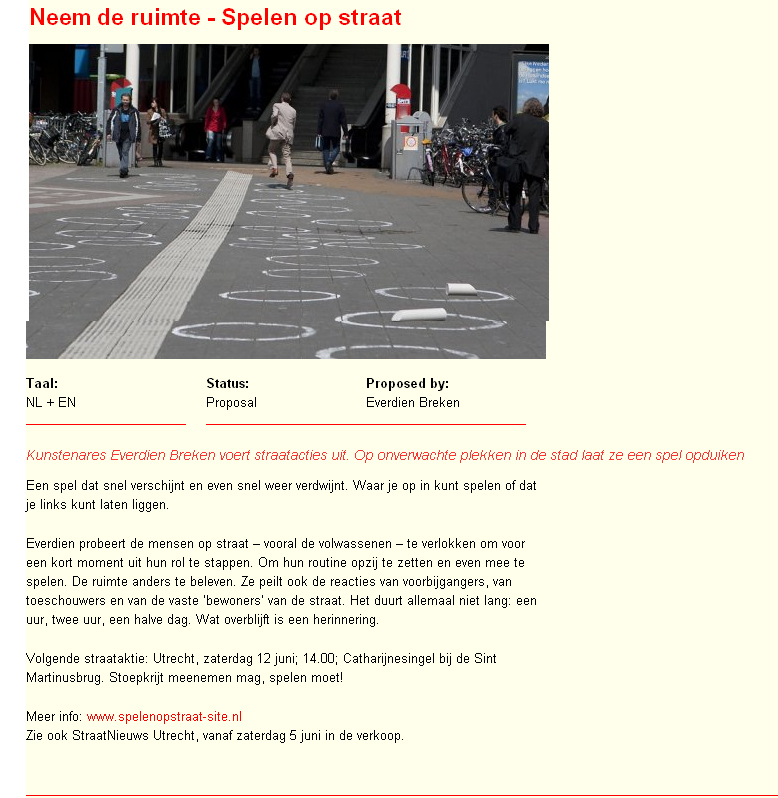 Got the assignment for Straatnieuws (check blog ‘street news – again‘)! Exitement and trepidation mingled – very heady mixture. 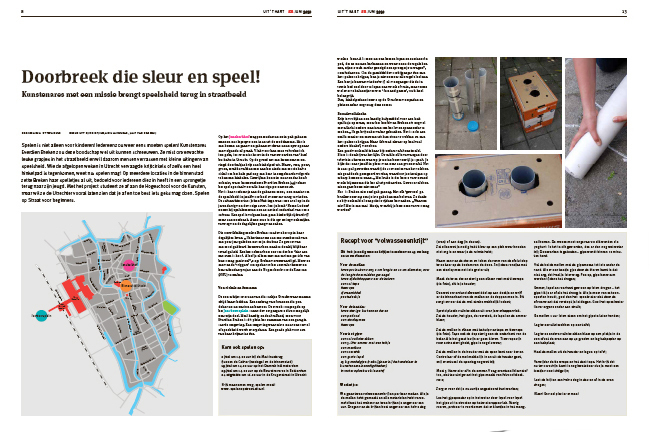 Working title: “Neem de ruimte – spelen op straat” which roughly translates to ‘take public space back – play on the street’. 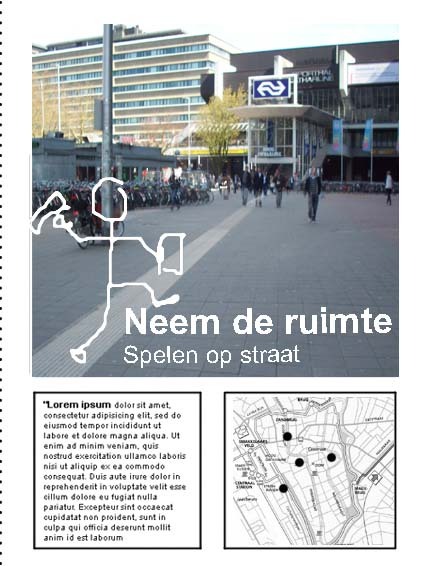 ‘Neem de ruimte’ can also mean ‘make a change from your normal routine’. Both sides of this equation are of interest to me in my research. I intend to make the people of Utrecht step out of their everyday routine and step into the game I will draw on the street. The paper assigned a photographer, a journalist and an editorial designer to my project. Photographer is Ilvy Njiokiktjien, who works as a writer and photographer for the Dutch newspaper Spits and the Dutch Press Agency, ANP. She has won the International Photography Contest 2008 of National Geographic Magazine, check her site here and you will immediately see why. Text writer is Marcia Ottevanger, freelance journalist, also working for ANP, who does some additional work for Straatnieuws. Check her profile at linkedin. Editorial designer is Hanneke Croonen of Blik company, specialising in crisp and cool editorial design. 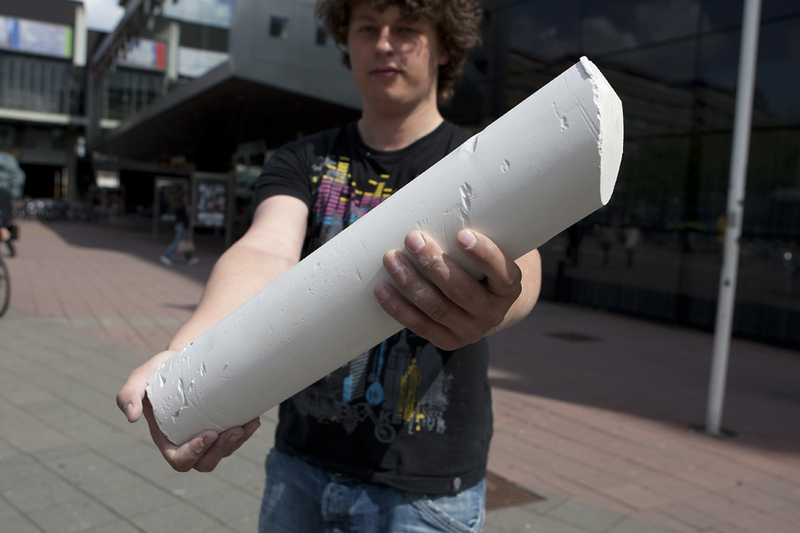 They did a restyling of ‘Straatnieuws’ earlier this year. Check their site ‘klikopblik‘, it’s great. These three ladies not only picked up their phones when I called today, they were also enthousiastic about the proposal I put together, and wonder of wonders – we’ve been able to fix dates to do the street actions in time to make the deadline – fingers crossed, and given good weather. I will send my prayers to the weather gods every day until the 17th of May. Please, please, give us good weather on the 12th, the 15th and the 17th! It will be a treat working with three such professional ladies – looking forward to it a lot. Note: don’t forget to enjoy.